I tell my husband this all the time but I should reflect on this sentence more myself. Things don't have to go perfectly all the time! 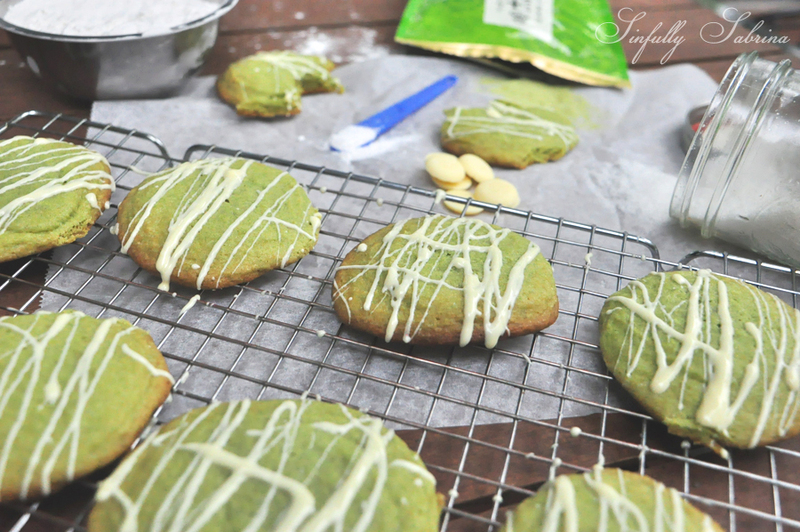 This Matcha Cookie looks far from perfect. It has brown, uneven edges as the cookies merged into each other when they were baking due to my miscalculation. But you know what, I had fun making them so I chose to still post its brown and uneven glory because it tastes good! I have so many realizations for the year that was but as I am typing this recipe post, I am learning what I want to live by this 2015. I will work extra hard to get closer to my dreams but I must have a blast getting there!!! What are your realizations for the New Year (2015)? Preheat oven to 350 degrees Farenheit. Line two baking sheets with parchment paper. In the bowl of your electric mixer, cream the butter and sugars until light and fluffy (2-3 minutes). Add the egg and vanilla extract and beat until incorporated. Sift together flour, matcha powder, baking soda, and salt. Add dry ingredients to the butter and egg mixture. Mix just until incorporated. Use an ice cream scooper or 1/4 measuring cup to scoop the cookie mixture onto the prepared baking sheets, placing them about 2 inches apart. Bake the cookies for approximately 12-15 minutes or until the cookies are still soft in the center but are firm around the edges. Remove from oven and let cookies cool on baking sheet for about 5 minutes before removing the cookies to a wire rack to cool completely. Melt your white chocolate buttons in the microwave, 30 seconds at a time or until completely melted. Use a fork to drizzle the melted white chocolate over the cookies. This makes for a rustic look. You may also use a piping bag with a thin tip for more precise strokes.